There has been a long-standing, widespread misunderstanding that traditional mask and mumming traditions are something that belong to the south and the “primitive”, and that the “cold and rationalistic” Protestant countries of the north had no form of theatre until comparatively recent times. Another misconception is that all cultural expressions in this area were adopted from the countries to the south. As this book demonstrates, both ideas are great misconceptions, a result of the fact that most work on such traditions has been written in the Nordic languages, and was thus inaccessible to English speakers. As the surveys and case studies contained in this book show, the mumming or guising traditions of the Nordic area, running from Greenland to Orkney and Norway to Finland and Estonia, have deep and firm roots, many of which appear to go back to medieval if not pre-Christian times, and are still reinventing themselves in the present day. This volume (over 800 pages in length) is the work of twenty-three scholars, and in addition to seven detailed surveys of the traditions of each area contains eighteen case studies offering different ways of dealing with this material. 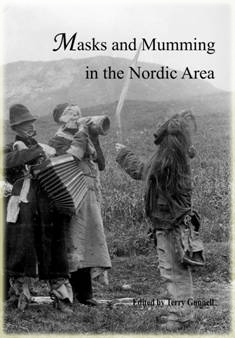 All of the above are richly illustrated with new maps and a wide range of illustrations of Nordic mumming traditions past and present. It is hoped that this enterprise, based on a NOS-H supported project that began in 1999, will be an inspiration to others in various fields to go further into this intriguing subject, and fill in the gaps that may have gone unnoticed. If nothing else, the book should alter the image of the “dour” inhabitant of the Nordic countries.